Halloween is right around the corner and there's no better time of the year to get your artistic juices flowing and dress to impress in your creative attires. I'm sure everybody is super excited to plan their costumes and dress up as their favorite super hero, movie character or top celebrity. 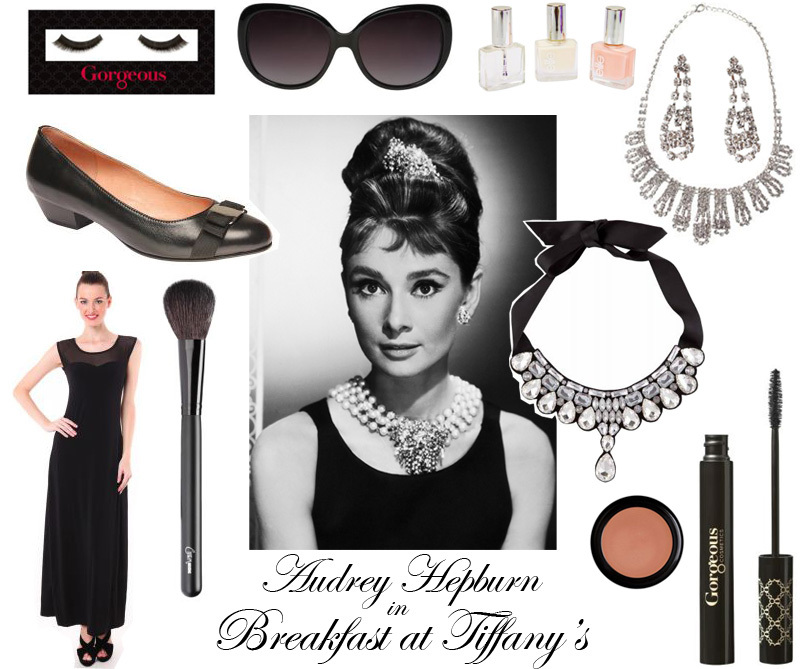 As for me, I want to portray Audrey Hepburn in the movie Breakfast at Tiffany's. This is definitely one of my favorite films and I am such a big fan of Audrey's style. Recreating her iconic look is quite easy as you only need a simple LBD and a couple of accessories. The main part of this outfit is the classic little black dress. That scene when she walked down Fifth Avenue wearing that beautiful Givenchy dress truly epitomized Hollywood glamour. Choose a dress with a simple silhouette and select one that's sleeveless and isn't printed. 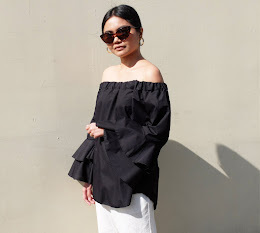 To complete the ensemble, you will need fabulous over-sized black sunglasses, a statement pearl necklace, bejeweled earrings and a pair of close low-heeled shoes. I really like this elegant shoe from GIBI, which is reminiscent of Salvatore Ferragamo's signature Vara pumps. So how do you do your hair and make-up? Just like Audrey, you'll need to put up your locks in a high chignon to show off your jewels and dress neckline. Her face in the movie was really fresh and youthful. To get that natural glow, you can apply a peach cream blush on your cheeks and a coral matte lipstick. To achieve her perfect cat eye make-up, you'll need liquid eye liner, pretty false eye lashes as well as a few coats of mascara. Halloween doesn't have to be all about scary and horrific creatures. This look proves that you can be chic and sophisticated even during this holiday. So put on your tiara, wear your black opera satin gloves, grab your cigarette holder and you're done! Audrey's photo from here. IFB Project #70 Submission.